In the north-western house of Camphrier Town, there is this maid. Once a day, she will give you the Sweet Heart item. This is the only place in the game where you can obtain this item. 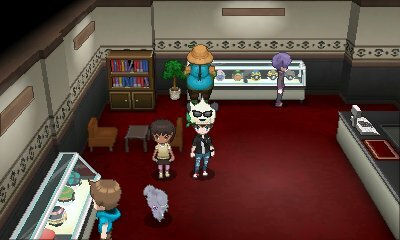 In the PokéBall Emporium in Lumiose City, you will find a little girl opposite the counter. Each day, if you speak to her, she will ask if you like round things. 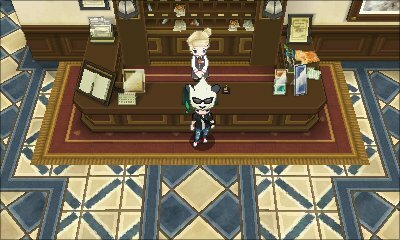 Say yes and she will give you 3 of a random Ball such as Luxury Balls, Heal Balls etc. 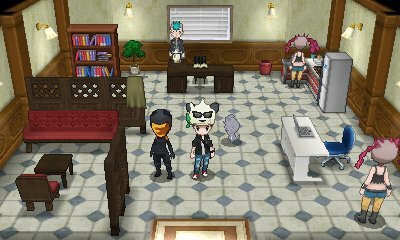 The Juice Shoppe, located in Autumnal Avenue in Lumiose City, is a place where you can get various Berry Juices which can affect your Pokémon in various ways. On the left is a counter where the man will sell many pre-prepared juices. He will sell one per day so be sure to choose wisely. The selection changes each day. 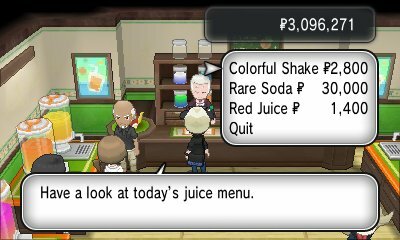 These juices range from increasing happiness, Effort Values and finally increase your Pokémon's level. The juices he offers vary in strength so you'll need to be sure to trakc the progess if you're purchasing one of the juices that gives you Effort Values. 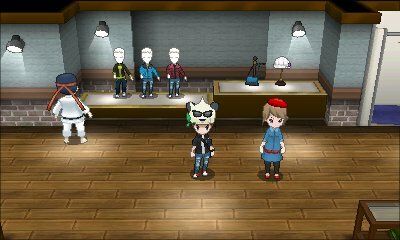 In the North Boulevard of Lumiose City, you will find the special Lumiose Galette Shop. 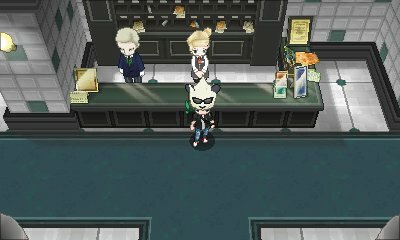 At 3am, 9am, 3pm and 9pm each day, the store will restock with Lumiose Galettes to buy at 80P each. If you're much later than that time, they will be sold out and will require waiting until the next batch is complete. In the house north-west of the fountain, you will find this man. Each day he will say that he is feeling the vibes of a certain type. 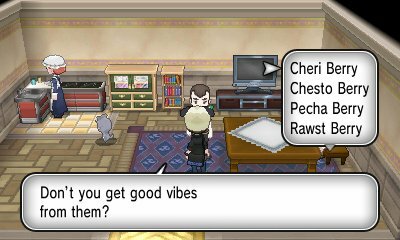 Bring a Pokémon of that type to him and he'll give you a choice of five berries: Cheri, Chesto, Pecha, Rawst, and Aspear. Pretty Wing A very ordinary Wing that is just beautiful without effect. 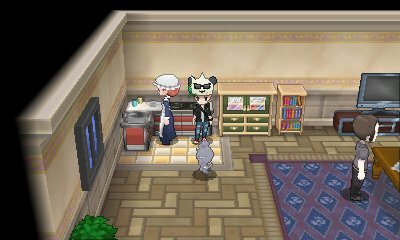 Next door to the Pokémon Center in Cyllage City, you will find this man who will gladly offer to massage your Pokémon for you. This will increase its happiness stat. However, he gets exhausted by doing it so can only do it once per day. 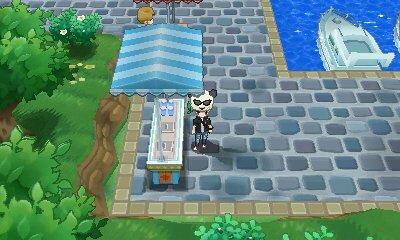 Once a day, you will be able to go to this stall in Courmarine City. On the stall, you will find a free berry to pick up. These berries include the Cheri Berry, Chesto Berry, Pecha Berry, Rawst Berry, and Aspear Berry. After you have picked the Berry, you get asked if you wish to leave a tip. 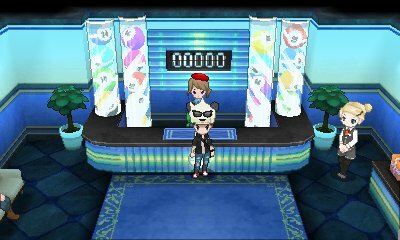 For four days, you will have the ability to answer a quiz by a girl in the coastal part of Courmarine City. This girl will give you one TM a day. The TMs are: Confide, Trick Room, Acrobatics and Embargo. 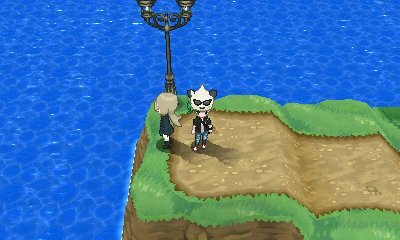 After you have defeated the Elite Four, you can find Tierno in the cliff part of Courmarine City. 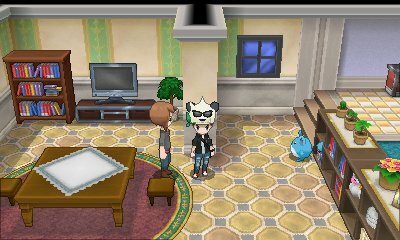 Speak to him and he will request to see a Pokémon knowing a specific move. If you show him one, he will give you a Heart Scale. This can be repeated once a day. 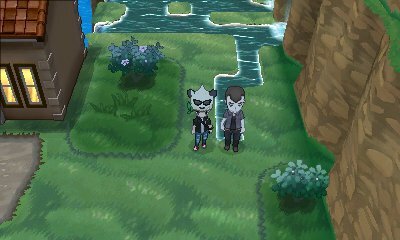 After you have defeated the Elite Four, you can find Trevor in Geosenge Town. 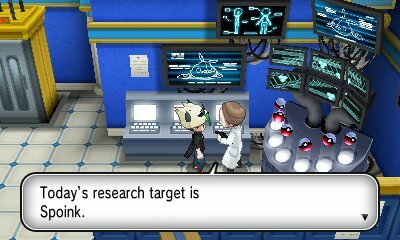 Each day, he will ask if you have captured a specific Pokémon. However, rather than asking to see the Pokémon, he will inform you that it has a Mega Evolution. 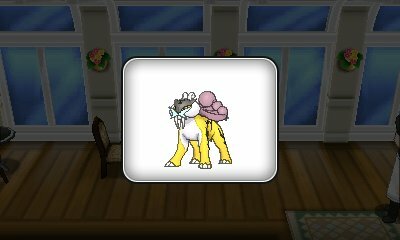 The Pokémon in question changes each day.. 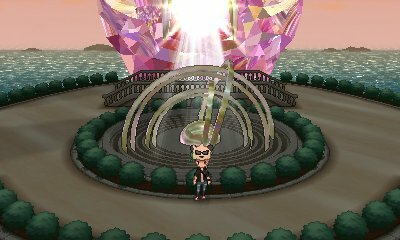 In Lumiose City's North Boulevard is the special Hotel Richissime. In this hotel, you can go up to the counter and request a job. You have three options: Make the beds, Room Service, and Lost & Found. Make the beds has you run around to make each bed, simply interacting. Room Service has you remembering an order and Lost & Found has you looking for a hidden item. The quicker you to it, the more money you get paid. Each job can be done once a day. After you have completed the job perfectly, your pay increases, as does the difficulty of the job. 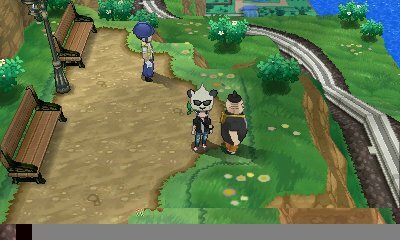 In Laverre City, at the eastern exit, there is a man who requests to see a Pokémon less than 12 inches tall and to the north east of the Pokémon Center, there is a girl asking to see a large Pokémon of over 9'10" tall. 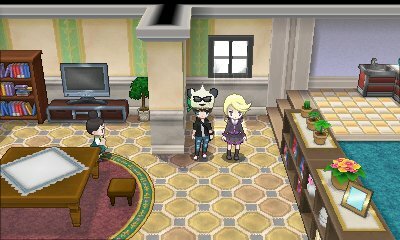 If you show them Pokémon that match up with their desires, they will give you a Poké Doll and request that you show them one again tomorrow. 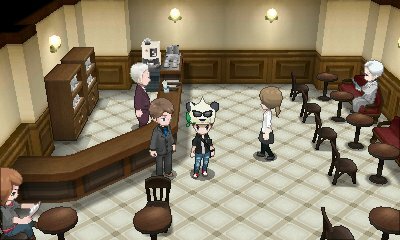 After you have defeated the Elite Four, when you have battled Calem/Serena in Kiloude City, you will be sent to speak to Professor Sycamore. He will inform you of how the Sun Dial in Anistar reacts only between 8pm to 9pm each day. 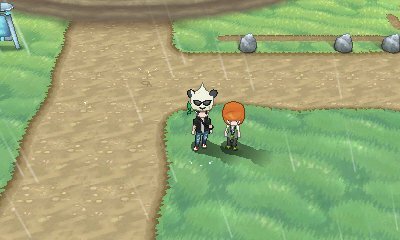 Upgrading your Mega Ring, this allows you to hunt for the Mega Stones across the region within this time period. . 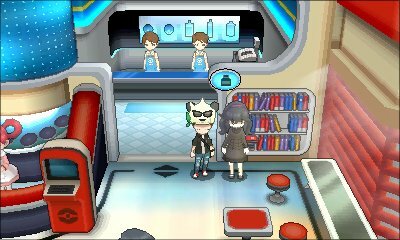 In the Pokémon Center, you will find this Hex Maniac. Each day, she will offer you a new TM, providing you came at a different time. This can be done several times until you have all of the TMs. 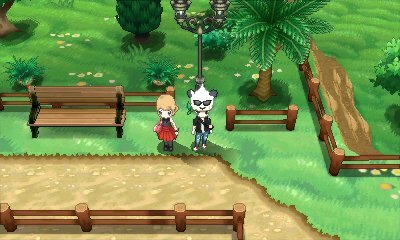 Next to the fresh springs waterfalls in Couriway Town, yopu will find this man who will offer to sell you a bottle of Fresh Water for 300. He will offer this to you each day and will give you a berry as well should you purchase it..
After you have initially defeated the Elite Four, practiced in the Battle Maison, defeated your rival and begun the hunt for Mega Stones, you will be able to return to Kiloude City and battle your rival once a day. 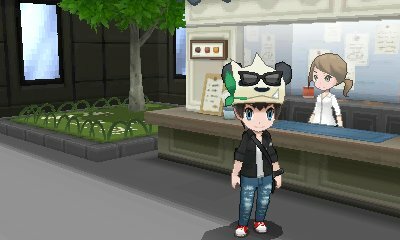 Their team doesn't increase but the Pokémon give decent experience and decent money for winning. In Lost Hotel, there are numerous dustbins around the area. 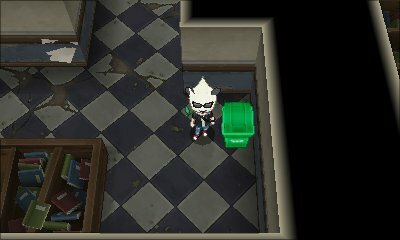 On certain days, these bins contain various items or, in this case, Pokémon. 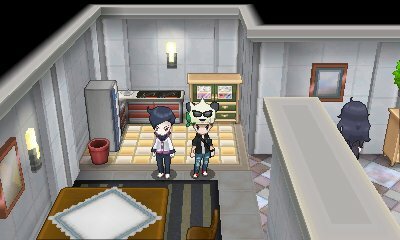 On Tuesdays, there is a chance that the bins will be haunted and may contain the alternate forms of the Pokémon, Rotom. 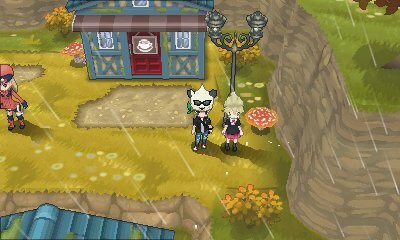 In Pokémon Village, there are numerous dustbins around the area. On certain days, these bins contain various items or, in this case, Pokémon. 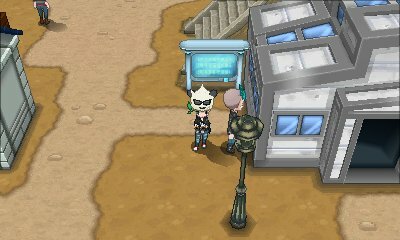 On Thursdays, there is a chance that the bins will be haunted and may contain the Pokémon, Banette.